Should I Remain Here At Sea? 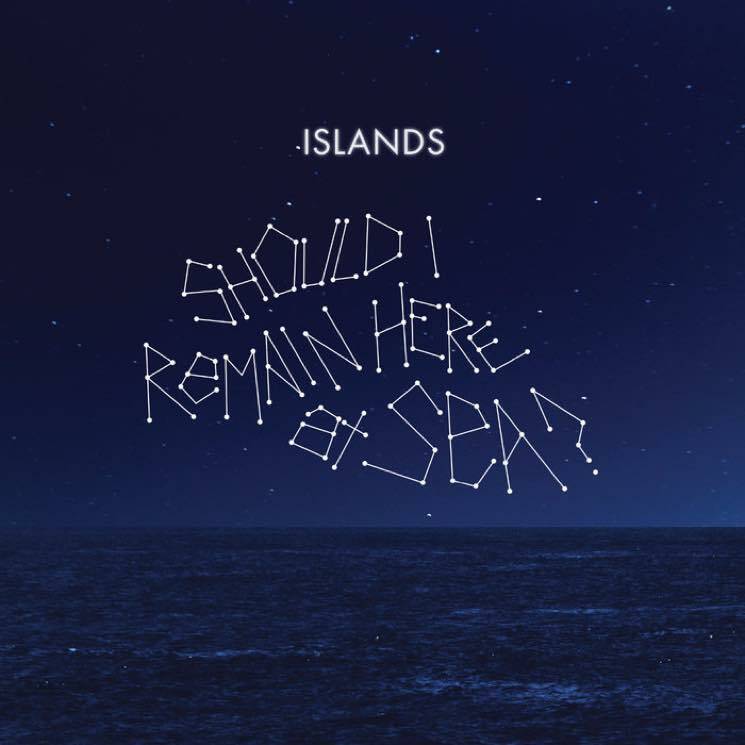 is one of two distinct, stand-alone Islands records being released simultaneously. Though it's technically the band's seventh full-length album, SIRHAS is being touted as a "spiritual sequel" to their 2006 debut, Return to the Sea. The album is split pretty evenly into two halves; the first five tracks are raucous, poppy and uptempo, while the second half slows things down for some disarmingly lovely (and sad) songs. Drawing from many of the best aspects of previous Islands records, SIRHAS is an excellent distillation of all that Islands does best, and a return to form after 2013's somewhat forgettable Ski Mask. Co-produced by frontman Nick Thorburn and sometimes Islands bandmate Evan Gordon, and reportedly recorded live off the floor, SIRHAS has a warm, intimate sound that heightens the impact of its songs. Album openers "Back Into It" and "Fear" recall the ramshackle charm of Return To the Sea and Arms Way, with the latter song featuring some beautiful guitar work that makes a strong case for a spot alongside "Swans (Life After Death)" as another Islands classic. Where this record really shines, though, is in its second half. Though Thorburn wields his patented clever lyricism and acerbic wit with abandon, the guy has clearly been going through some tough times. Whether he's shopping for a coffin on "Christmas Tree" or comparing his (presumably) ex-partner to a caged parrot that refuses to fly away on "Sun Conure," Thorburn sounds like he could use a hug.